Despite a global scandal about fuel emissions, Volkswagen beat Toyota in selling the most cars in the world in 2016. Volkswagen became the biggest carmaker in the world because of growth in China, its single biggest market. But dependence on the Chinese market could disappoint the carmaker in the long term. Volkswagen has set aside billions for fines and legal fees since the emissions scandal erupted in September 2015, hurting its earnings. The scandal harmed the brand’s reputation in the United States and Europe, but it was not a big issue in China, where diesel passenger cars are rare. Volkswagen’s sales in China grew by 12 percent last year, and China accounted for nearly 40 percent of the carmaker’s global vehicle sales. Unlike the Japanese and Koreans, Chinese customers do not favor their home-grown brands, at least at the moment. “Foreign brands have dominated the market and sales. However, the Chinese customers could very easily shift their preferences to more affordable and decently reliable Chinese brands. That is the biggest risk on the horizon for global automakers in China,” Dunne said. 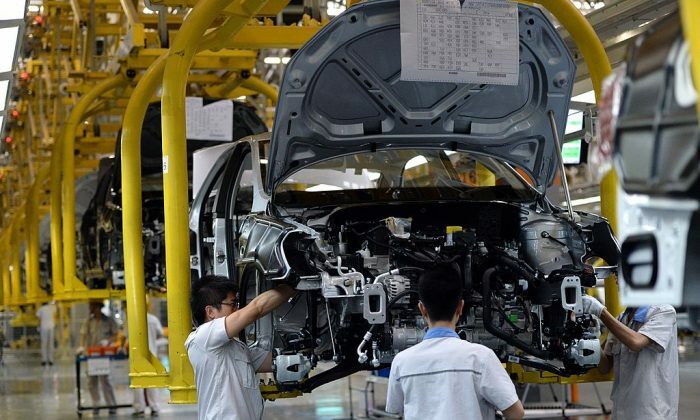 Besides the potential shift in consumer sentiment, the Chinese government’s protectionist policies to promote the domestic car industry and antitrust investigations against foreign competitors are further risks for global carmakers. “Probes are not uncommon. Several foreign companies have been subject to antitrust investigation, including Japanese carmakers, Mercedes, Chrysler, Volkswagen, and most recently General Motors. In each case, the company was required to pay a fine. And those fines range from $20 million to $60 million,” Dunne said. On the one hand, foreign companies are frustrated they cannot control their own destiny in China, but on the other hand, they do sell millions of cars a year and make profits, he said. Volkswagen’s first mover advantage is paying off. It was the first foreign carmaker that invested in China with the joint venture called Shanghai Volkswagen Automotive Co. in 1984 when other car manufacturers were hesitating to invest because of political uncertainties. As a part of its strategy to overtake Toyota, Volkswagen boosted sales in countries with high population density, like China and India, he said. Volkswagen has a diversified portfolio in China and sells a full spectrum of cars, from low-cost brands like Skoda to luxury brands Audi and Porsche. And the carmaker ranks second in the giant SUV market, Dunne said. A new growth area in China for foreign carmakers including Volkswagen is the new energy vehicles (NEVs) market. Sales of NEVs in China, including battery electric and plug-in hybrid cars, increased by 60 percent in January–November last year. And Beijing pushes automakers to produce more electric or hybrid vehicles through state incentives. Volkswagen is also investing to expand in the NEV market through its joint ventures in China. But the expansion comes at a cost. Foreign auto brands are only allowed to manufacture cars domestically in China through joint ventures with local partners. “The requirements [to transfer technology and know-how] through forced joint ventures are fundamentally at odds with the commitments China made when it joined the World Trade Organization,” said Stephen Ezell, vice president at the Information Technology and Innovation Foundation (ITIF), a U.S. think tank. According to ITIF, China ranks as the most mercantilist nation in the world. And its tactics to protect its own domestic companies “involve massive government subsidies, theft of foreign know-how, and forced technology transfer in exchange for market access, massive export subsidies, and discriminatory government procurement,” stated an ITIF report. Global brands are being forced to give away their most important and sensitive technologies especially in the advanced electric or hybrid vehicles to gain market access, said Ezell. Despite these unfair practices by the Chinese government, foreign companies have little choice but to comply. They cannot afford to leave the Chinese market. “So the companies not only end up losing the China market, they also lose markets like Vietnam or Indonesia because they give away their technology, which will be [eventually] used to compete against them,” he said.